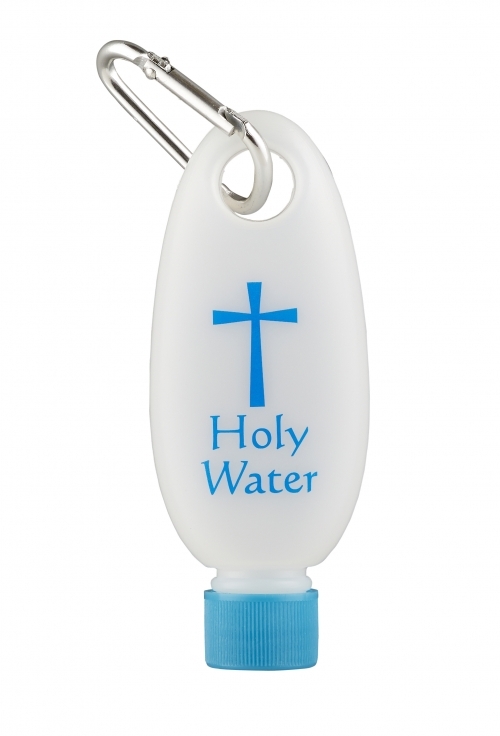 Our Holy water bottle with caribiner clip is perfectly sized for clipping onto a purse, backpack or belt loop. Comes with a screw off cap for easy filling and a sturdy, metal clip. Great for transporting holy water or just use it for convenient storage.